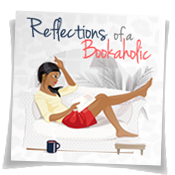 Reflections of a Bookaholic: Gah!! Gah!! I've been feeling this way a lot lately. Which characters would you like to slap? Come on... I know you've got a few... or if you are like me, 20. I don't know if I've just been irritable lately but ooohhh! 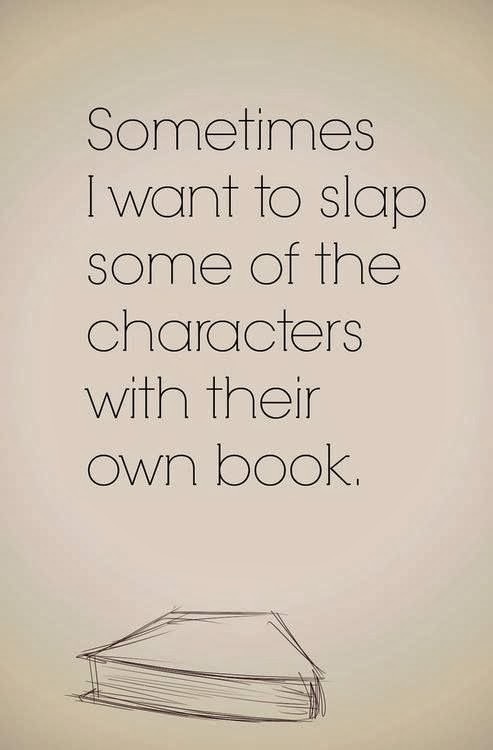 I think almost every character in every book deserves a slap at some point or the other, ha! 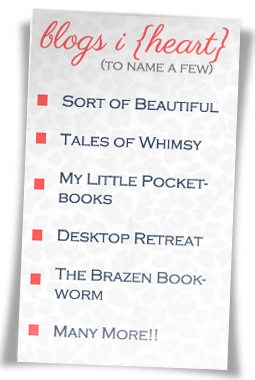 Most recently I could have gone for a slap for the main character in FIRE & FLOOD. She was soooo vain! I agree. It's just the characters have made me so irritable lately. I'm not usually a violent person. Oooooo yes. SO been there. Especially with YA too. Lately not so much but yah I've definitely been there before. 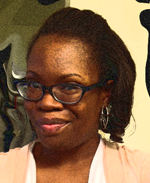 So who is the latest for you? The main character in both The Wedding Bees and Last Train to Paris. Especially Last Train to Paris. Le Sigh. Well it is good that none have come to mind right away. I think that is a good sign. There were a few in Divergent I want to slap. Tris can get a slap for not see that Four likes her. 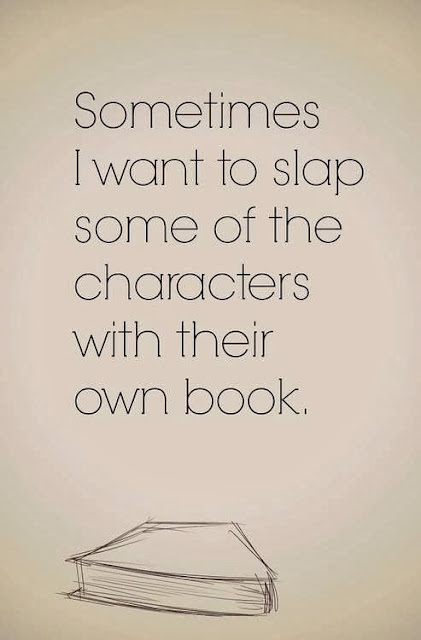 I can think of so many reasons why Tris could use a slap. yes, in deed, I just finished reading, Pretty Girls in the VIP and i wanted to slap the secondary character, Courtney. SMACK! how's you be?